"It Doesn't Matter Who Your Agent Is... Until It Does"
Blog by Brewer is designed to be an enjoyable read that gives you some helpful information to keep you safe. Whether you are traveling on vacation or going to the local amusement park, we have an article for you! It goes without saying that keeping yourself and your family healthy through the holiday season in North Carolina can be a challenge. When you combine chillier temps, housebound days, year-end deadlines and pre-holiday preparation - not to mention kids passing around colds at school like they’re playing “Hot Potato” - you can end up spending the holidays under the covers. No matter how many inherent seasonal risk factors you face, there are ways to prepare for and get through the season virtually unscathed. At Brewer Insurance Services, Inc., we wish for you a happy and abundantly healthy holiday season, so here are a few tips to help you stay well and enjoy! Consider ‘sticking it’ to The Flu. Flu shots seem to be available at practically every drug store or pharmacy in Mount Olive. Discuss with your doctor the pros and cons of flu shots for yourself and your family. Get some zzz’s. The holiday hustle and bustle can interfere with normal sleep patterns, yet sleep is essential to health and healing. Prioritize getting enough sleep - or taking a quick nap - despite your busy schedule. Fill the fridge. It’s easy to allow your pantry to start looking like a sweet shop as the holidays near. Take care to stock your refrigerator and cabinets with healthy snacks and ingredients for balanced meals. Think fruit, nuts, lower-calorie snacks, veggies and lean proteins. Get real. Emotional health is important, too, so be realistic about what can be expected through the season. Just because it’s the holidays doesn’t mean that Aunt Zoe and Uncle Andrew from North Carolina will finally mend their rocky relationship. Keep moving. Despite the many holiday temptations to just relax, don’t give in to being a couch potato. 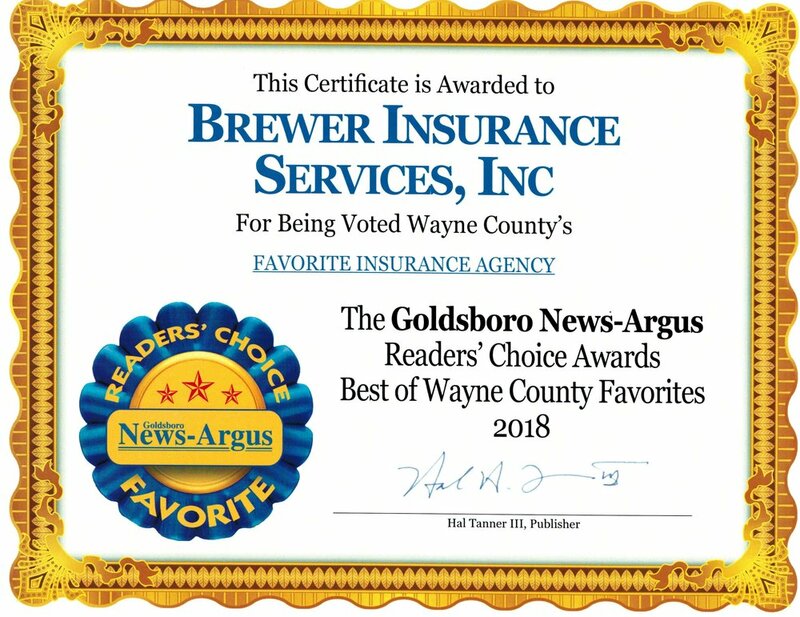 Get to the gym or yoga studio in Goldsboro, go for a walk in Faison, jump on the treadmill or dance at one of the studios in Mount Olive. The important thing is to just move! From Brewer Insurance Services, Inc. to you, we wish you a happy and healthy holiday season! 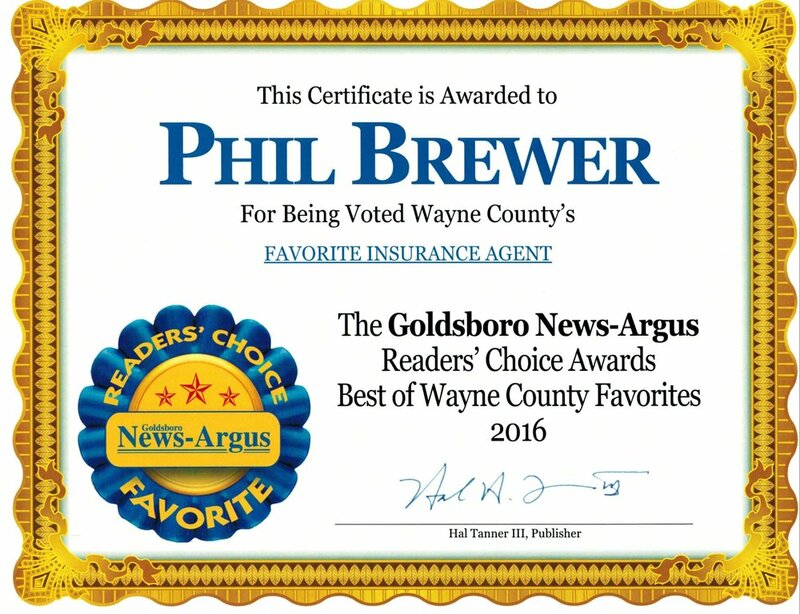 Goldsboro news-argus 2016 readers choice favorite insurance agent winner and HONORABLE mention for insurance agency! 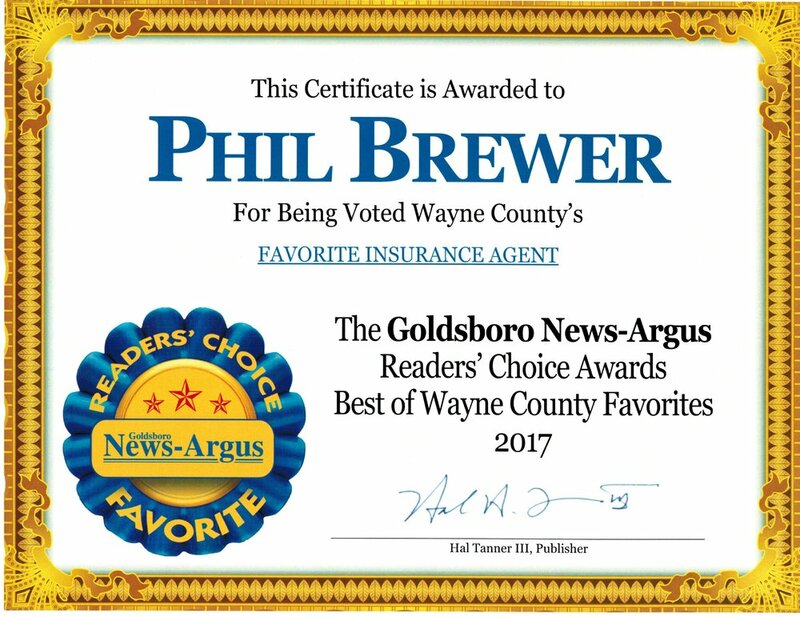 Goldsboro news-argus 2017 readers choice favorite insurance agent winner and Honorqable mention for insurance agency!